Flowers tell the story of your wedding day. Therefore, you want those flowers to represent everything about you from the procession and ceremony, all the way to the reception. Working with you to tell the story of your big day, Lindenhurst Village Florist can't wait to design your romantic fantasy. You have your wedding dress, wedding colors, theme and now it's time to choose your wedding flowers. They represent your overall theme through their design and colors. Your guests see them throughout the day, so make them unforgettable with Lindenhurst Village Florist. Flowers set the tone of your wedding. 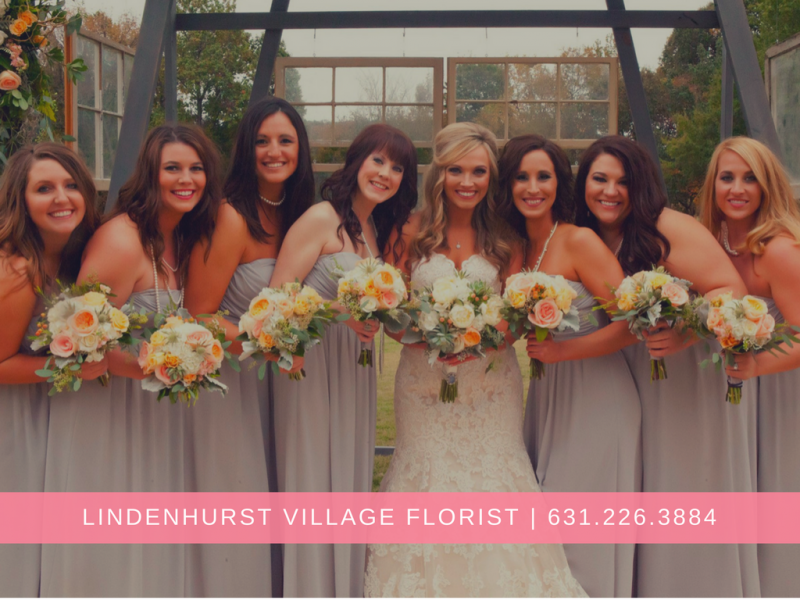 At Lindenhurst Village Florist , we will go above and beyond for your wedding. No matter what your vision is, we will exceed your wedding flowers expectations. When planning your wedding flowers, you immediately think about your wedding bouquet. You want it to be special since it compliments your wedding dress. Your personal wedding flowers are essential in setting the tone of your wedding day. Lindenhurst Village Florist wants to design the wedding flowers of your dreams.